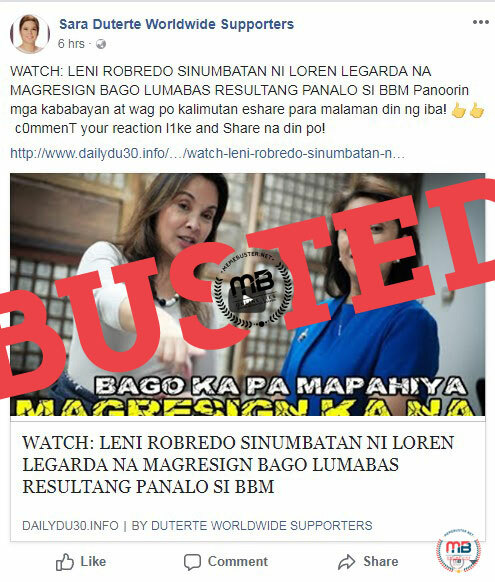 Vice President Leni Robredo allegedly left the Philippines to go on vacation abroad and escape from her rival, former Senator Ferdinand “Bongbong” Marcos Jr. in the middle of the VP vote recount. 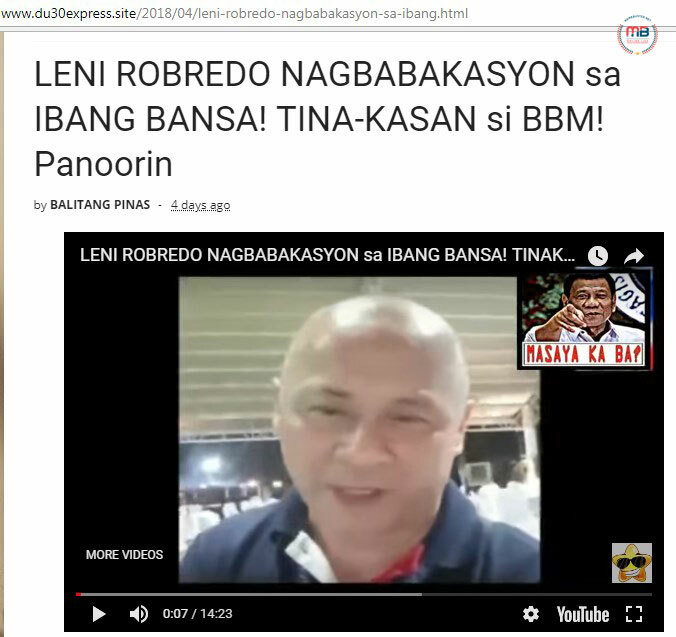 With a title that says “Leni Robredo Nagbakasyon Sa Ibang Bansa! 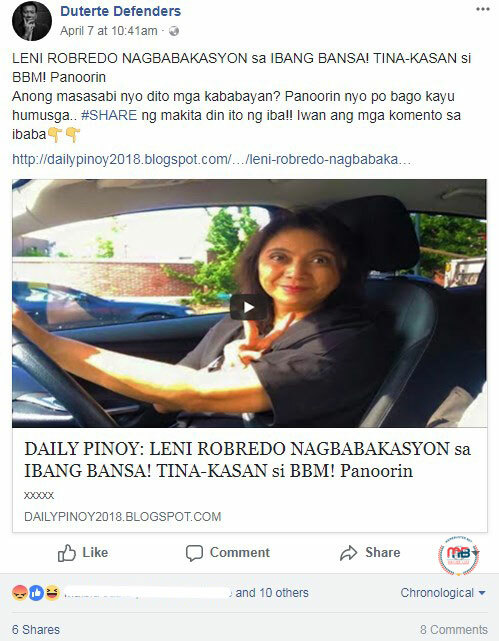 Tina-kasan Si BBM! 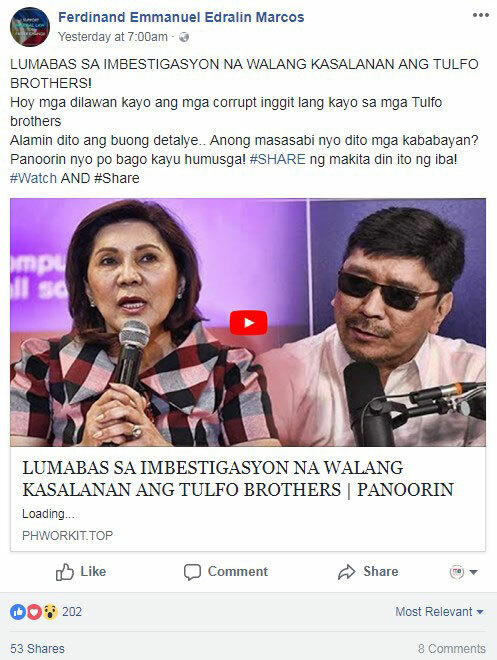 Panoorin,” the story has riled people up. 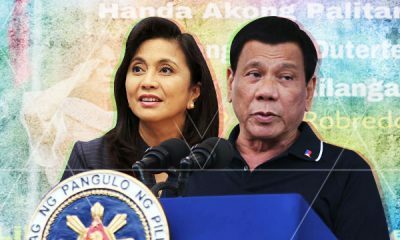 They believed that Robredo really left the country to leave Marcos and the electoral protest behind. 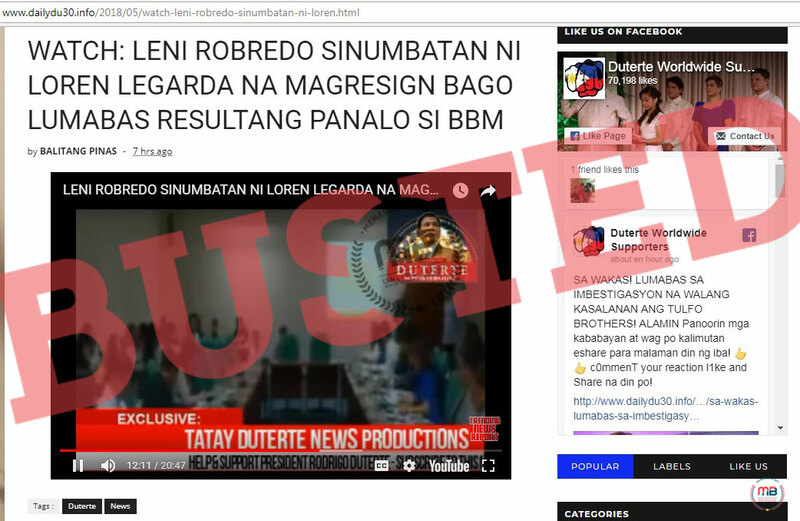 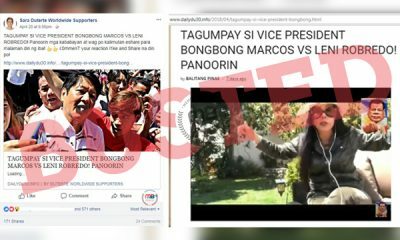 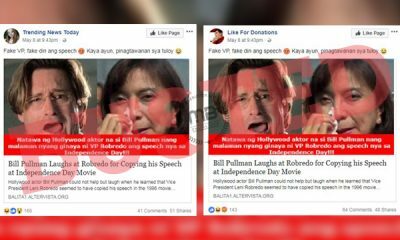 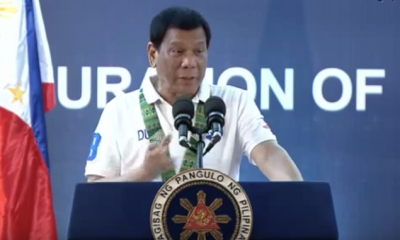 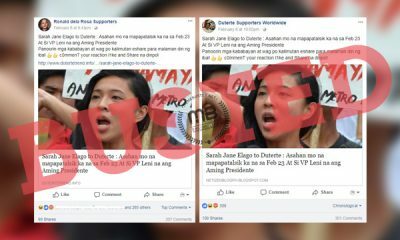 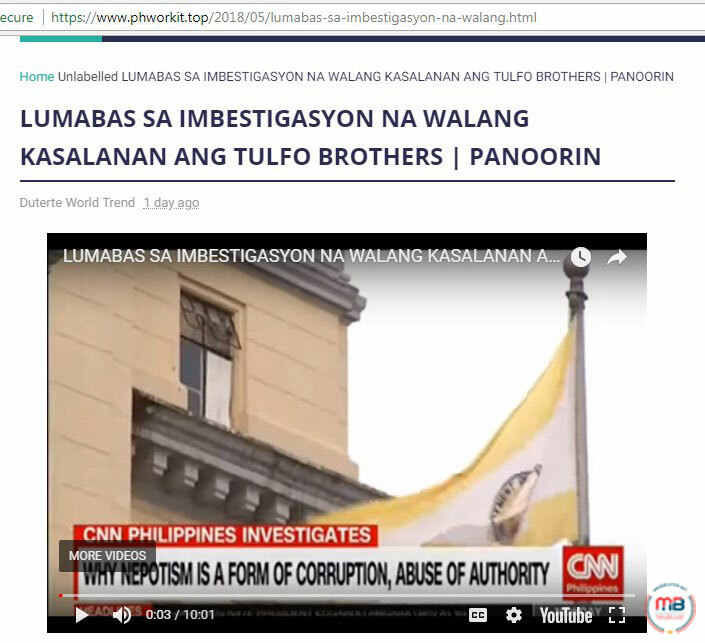 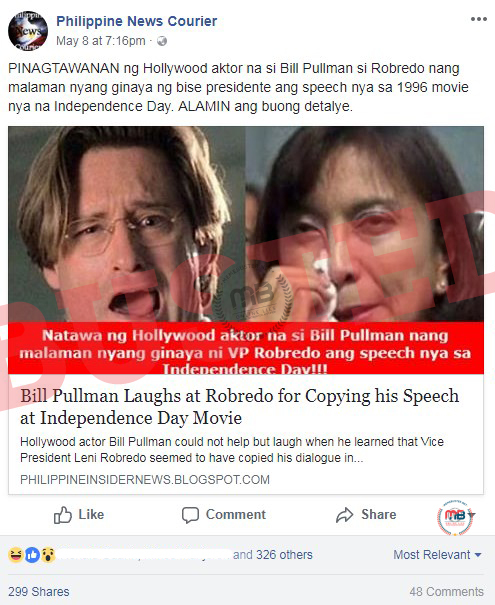 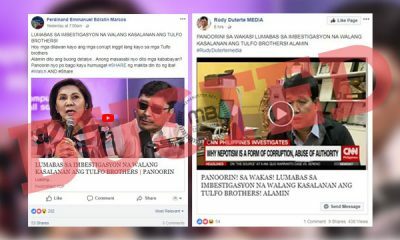 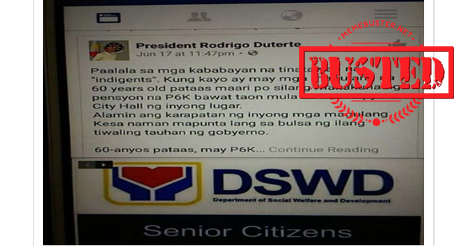 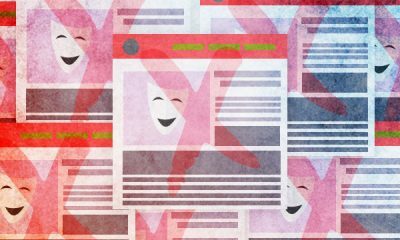 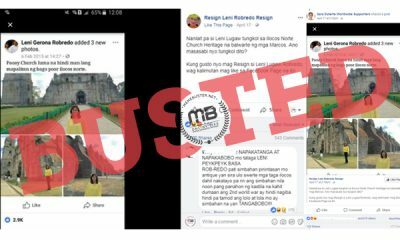 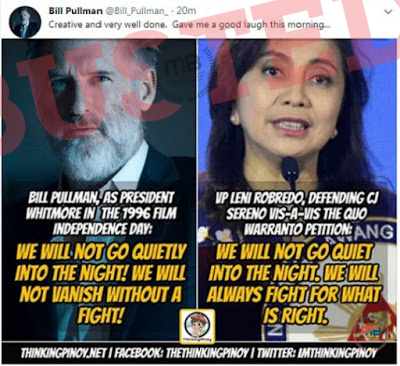 The story was carried by sites such as du30express.site, trending1.altervista.org, and dailypinoy2018.blogspot.com, before it was shared by Facebook pages such as “Action ni Duterte,” “Duterte for OFW,” “President Rodrigo “Digong” Duterte for New Philippines,” and Duterte Defenders” starting on April 6. 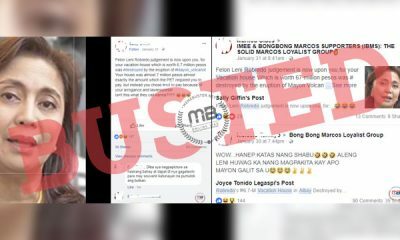 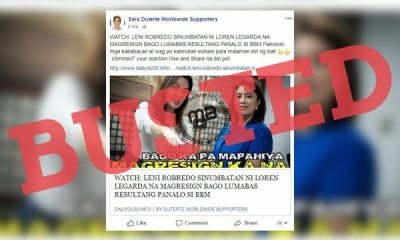 However, the links to the story showed a 14-minute long YouTube video of political analyst and De La Salle professor Antonio Contreras talking about the alleged wet ballots discovered during the recount. 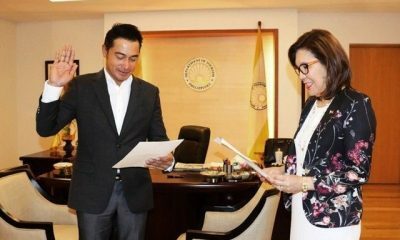 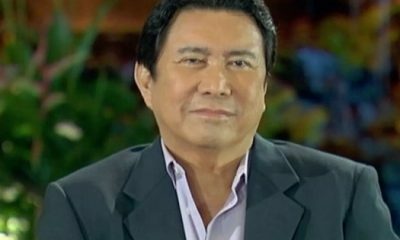 He did mention about how Robredo was in another country, while her lawyer Romulo Macalintal was left behind to explain the wet ballots allegedly found during the recount. 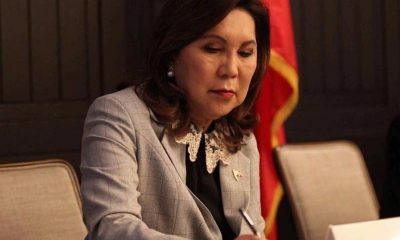 Contreras said that the explanation about the condition of the ballots should come from the Comelec or those responsible of maintaining the ballot boxes. 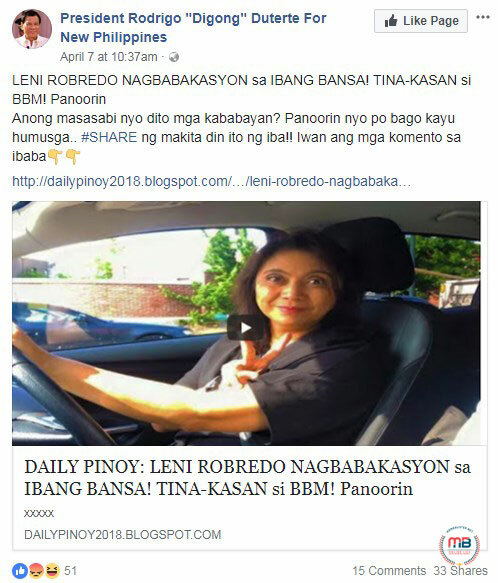 Unlike what the title claimed about how Robredo left the country to escape from Marcos, she actually went to London to speak at the London School of Economics and Political Science (LSE) about “Overcoming Poverty in the Philippines and the Role of Politics in Economic Growth,” based on the Facebook post her official page made on April 7. Robredo went to London not to go on a vacation but to give a talk related to what the Office of the Vice President has been doing. 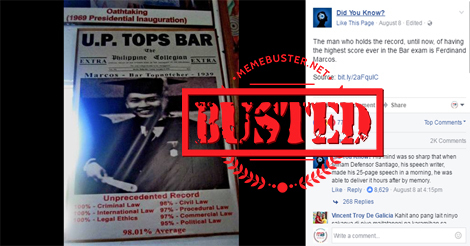 And she certainly did not go to the UK to escape Marcos. 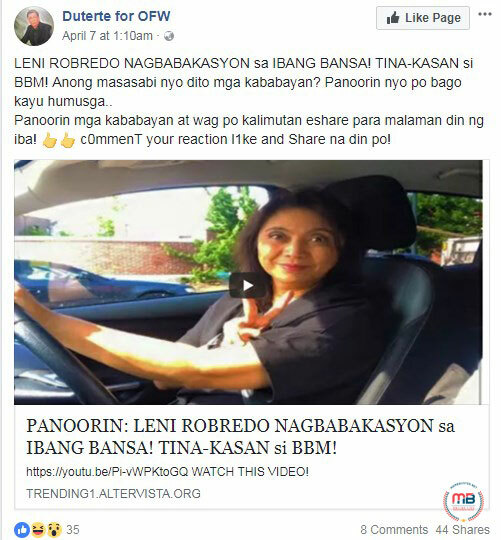 She even continued with the 48th episode of the BISErbisyong Leni radio show, where she and her co-host Ely Saludar talked to #IstoryaNgPagasa champions in the UK. 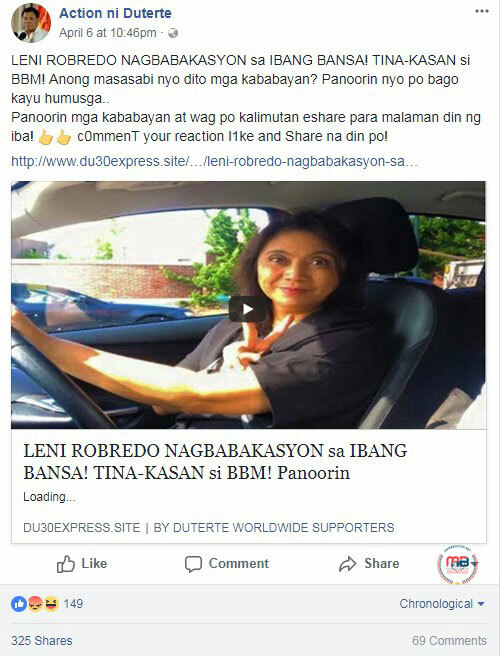 All of these meant that Robredo visited Robredo for work-related engagements, not to go on a break and escape from Marcos during the VP vote recount. 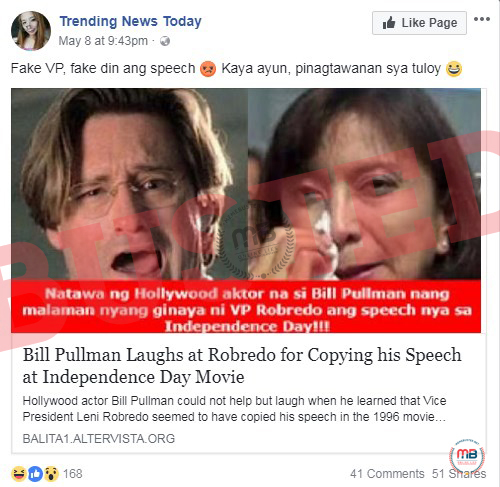 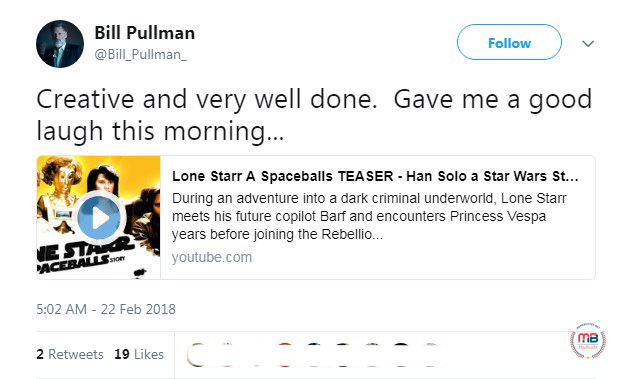 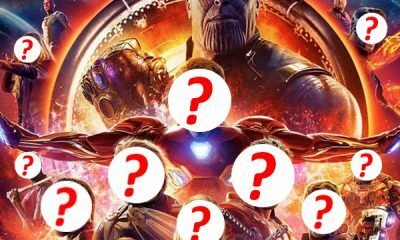 The story is fake!